See the Clarence Valley from a different perspective! Have you ever thought about Kayaking through Yamba? We highly recommend it! 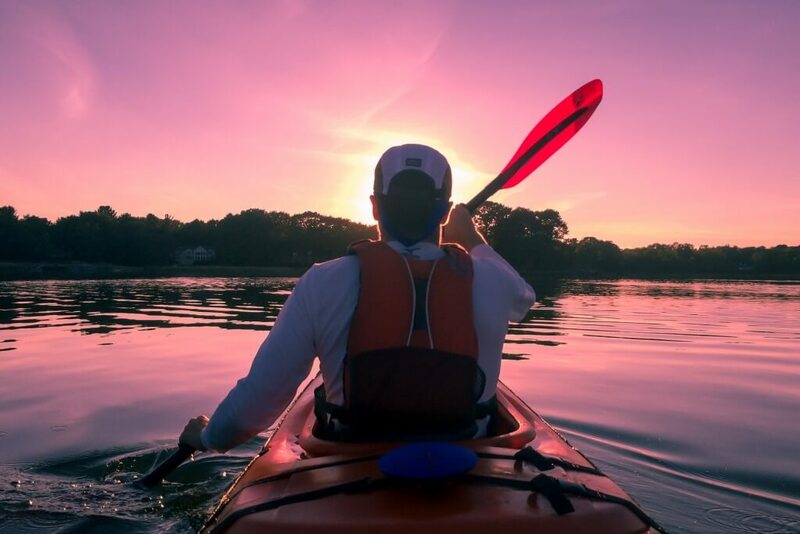 The Clarence River is home to some beautiful scenery, great history and a plethora of marine and birdlife which can be experienced on a guided Yamba Kayak Tour with Yamba Kayak. Yamba Kayak tours are great for everyone, even beginners. All you have to do is give them a quick call and they can have you on the water as soon as possible. They will supply you with life jackets, kayaks, paddles, dry bags for your personal items and a first aid kit. The experienced guides will give you a quick safety briefing and then you will be on your way. They have three tours available: Tour 1 will take you throughy the islands and beaches at the mouth of the Clarence River. The second tour will take you through Lake Wooloweyah, Yuragir National Park and Bird Island. The final tour passes through Oyster Channel and mangrove islands. All three tours require minimal fitness levels and you will be treated to some home baked goods, coffee, tea and hot chocolate during the tour. If you are looking for things to do in Yamba, why not try something a little bit different when you are on holidays in Yamba? The Clarence River is not far from The Cove Yamba Holiday Apartments. Book your stay in Yamba today!